List of all Camcorder Replacement Cables by Manufacture. Ensure the highest performance and interoperability with the Adaptec 2020700 IEEE 1394 FireWire cable! Gold plated connectors and impedance matched twisted pair wiring provides the most durable, reliable cable. 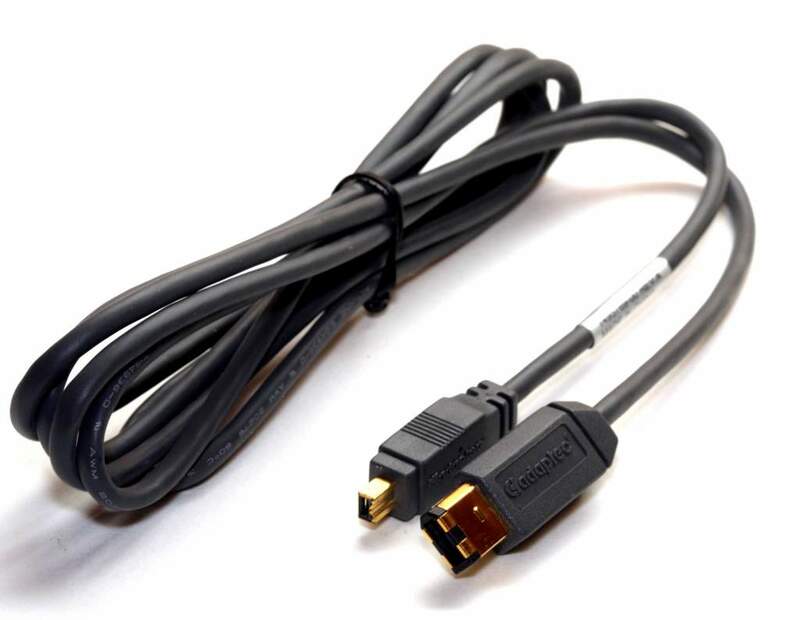 The Adaptec 2020900 IEEE 1394 FireWire cable is designed for plug and play connections with external hard drives or daisy chaining 4-pin audio/video devices. This Adaptec FireWire cable provides high quality for video presentations, editing or any type of data intensive multimedia file transfer. Hook it up! Order today! Connects Firewire 6p Computers to camcorders with 4p Firewire Port.